The echoes of the Middle East region-wide revolt are about to be felt worldwide. As I write, the Egyptian authorities have fired on and killed protesters in Cairo; in Tunisia angry crowds will not be satisfied until all members of the former Ben Ali regime step down. In Bahrain, Iraq, Oman, Yemen the voice of the people gets louder, more insistent to sweep away the old. In Algeria the regime braces itself for the next round of social explosions knowing that it has done little since the end of that country’s cruel civil war to improve socio-economic conditions. In Libya, Khadaffi and his sons commit war crimes in an attempt to hold on to that country’s oil wealth. And…the price of a gallon of gasoline continues to climb. It will continue to cut into the anemic global (and U.S.) economic recovery, will undoubtedly aggravate the Third World debt crisis, now entering its fourth decade and will inevitably produce the kind of political eruptions in that started in Guadeloupe several years ago and have now extended to the entire Middle East, contributing greatly to what has been called `The Second Arab Awakening’. With its reliance on oil for much of its production, rising food prices will mix with flat (or no) wages to produce an economic witch’s brew. U.S. and/or NATO military intervention will only further destabilize and polarize the Middle East region, intensifying all of these tendencies. It would be amusing to note the virtual near complete uselessness of the global U.S. military machine in addressing these problems, were it not for the fact that the emerging situation is quite serious. Drones, special forces, black box political operation, pathetically assembled `counter-insurgency’ programs, assassination teams, the extensive use of torture – that wondrous collection of medieval military and repressive techniques so much a part of contemporary U.S. foreign policy these days – long ago have proven their inhumanity. They are also more and more ineffective in addressing the global energy crisis. Looking at not-so-long-term trends, Michael T. Klare, who long ago emerged as one of the nation’s more careful and prescient observers of global energy policy, predicts that the current regionwide revolt in the Middle East will change the global energy situation forever, that the days of not-so-cheap oil are over and that oil-wise, the global economy is in for hard times. As the Middle East social uprising moves from the periphery of the region nearer and nearer to the Saudi-Kuwaiti-Iraqi-Iranian oil producing center, the stakes for U.S. Middle East policy get higher, U.S. willingness `to tolerate’ the democratic changes whose song the Obama Administration (finally) is singing becomes somewhat more shaky. despite some efforts to use alternative energy sources, the global economy’s appetite for oil is growing and that supply including new sources of oil are not keeping up with demand. As a result oil markets are tight and small production losses, regardless of the cause (war, weather, accidents) can cause major disruptions and price hikes. despite U.S. efforts to diversify its oil requirements, it, along with the rest of the world, will be more rather than less dependent on Middle East oil in the future. As a result, an even more U.S. militarized Middle Eastern (and African) – rather than less – appears more likely. Just the opposite of what is needed. Klare’s reflections on the future – and limits – of Saudi oil production are of special interest as Saudi Arabia has come to the aid of the United States and other core countries of the global economy repeatedly over the years. It has done so by either increasing production when global oil supplies were tightening or, as it did in 2008 when there was a growing consensus among OPEC producers to cut production, refusing to cut production along with other OPEC producers to maintain higher price levels. 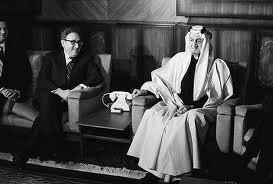 Kissinger and Faisal cutting `the deal'. `understanding’ that Saudi Arabia would soften oil price increases took a more formal form in the aftermath of the October 1973 Middle East War. At that time, then U.S. Secretary of State Henry Kissinger, fresh from having helped direct the September 1973 overthrow of Salvadore Allende’s socialist oriented government in Chile, engineered an agreement with the Saudis which has held until this day. Although it is rarely discussed, the degree to which this arrangement has benefited the United States – and its European and Japanese allies – can not be overstated. U.S. – Saudi relations have been one of the key pillars, if not the key pillar,on which U.S. Middle East policy is constructed. a Saudi promise `never again’ to initiate nor participate in an oil producer oil embargo, like the one thattook place during the October 1973 War which temporarily crippled the global economy. a commitment on the part of the Saudi’s to recycle jto the U.S and other western powers, some of its petro dollars in the form of arms sales to Western countries . The recent mammoth $60 billion Saudi arms purchase of U.S. weapons, the largest such deal ever, suggests the enduring nature of that commitment. 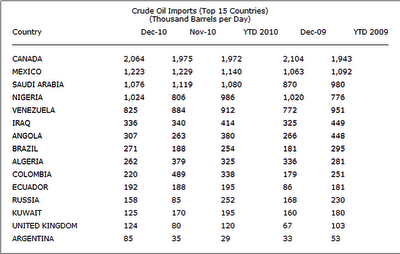 producers and the world’s core industrialized countries. A great deal of the oil profits oil producing countries absorbed were thus recycled back to the United States and European countries with financial, construction, arms manufacturers and real estate sectors benefiting from the arrangement. That most U.S. consumers of energy, and non-oil producing peripheral (producers of basic food stuff and raw materials) countries got clobbered by these arrangements didn’t seem to matter. While other factors were at play, the higher prices for oil that poor countries had to pay from this point onward would greatly contribute to what would soon explode as the Third World debt crisis. Likewise, the inflation that hit richer countries resulted in the end of the post war era of significant wage increases. Finally, unemployment rates in industrialized countries, relatively low until then, began to climb and have never really recovered. The problem the U.S. faces, as Klare puts it, has several aspects. First and foremost, the energy policy articulated by the 2001 Cheney Report is in dire straits or, perhaps, has essentially failed. That policy can be summed up as follows: For the global economy to remain relatively stable, global production must be doubled by 2025. 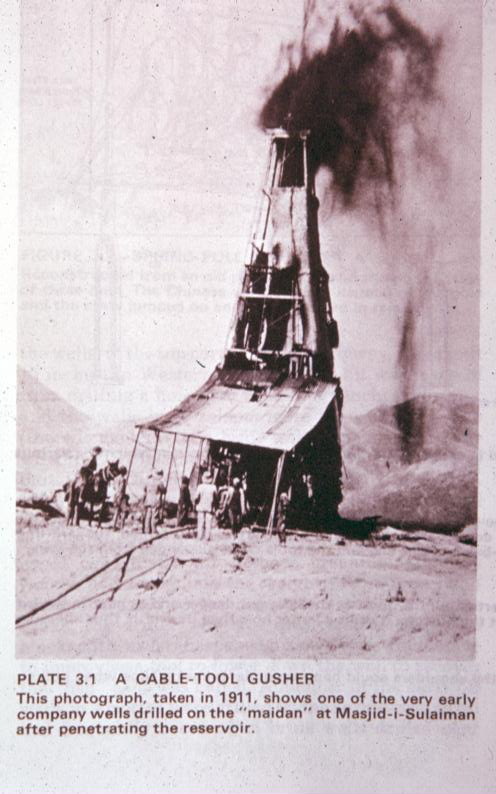 As there are no particular new bonanza finds that could possibly achieve that goal as demand grows, a crash policy of technical improvement of existing oil fields is in order. A political problem arises – state run oil industries have neither the capital – nor the political will – to make these changes. They will resist any efforts that increase supply to such a degree that prices will fall. Nor do they have the capital to make the innovations even if they so desired. The Cheney Report concludes that the only way this increase in production can take place is through the infusion of a massive amount – perhaps as much as several trillion dollars worth – of private capital. But private capital will not invest in energy unless the terms are to their liking which means a greater share of oil profits coming their way at the expense of the oil producing nations. This requires `de-nationalizing’ or privatizing state owned Middle East oil resources to a great degree. It is also based upon what is little more than a myth: that the private oil sector is more efficient than the state owned sector and that it and it alone can deliver the necessary technical improvements necessary to double output. While `weapons of mass destruction’ and Saddam Hussein’s undemocratic rule were the pretexts for the 2003 invasion of Iraq, the more salient reasons flow from the Cheney Report: to seize Iraq and its oil industry, privatize it, encourage foreign oil companies to invest in its modernization to double production. Indeed, the invasion of Iraq is the first concrete example of the Cheney Report in action. 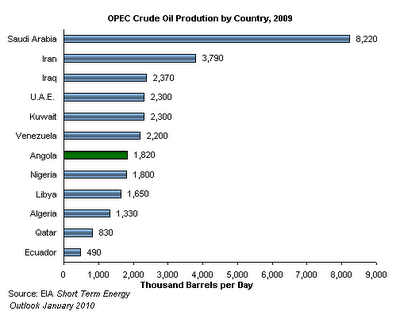 To date the invasion and the restructuring of Iraq’s oil industry has failed to `deliver’ on these promised results. After seven years, Iraqi oil production is barely approaching its pre-2003 U.S. led invasion levels. Which brings us back to the question of the Saudis. There are calls for protests in Saudi Arabia on March 12, 13 – less than a week from now. These calls have been condemned by Saudi religious authorities as `un-Islamic’. Even more worrisome: the events in Bahrein with its Shi’ite majority trouble the Saudis as do the events in Yemen. Bahrain lies just to Saudi’s east, Yemen to its south. In both countries the Shi’ites are rising in protest. The Houthi Shi’ite uprising in Yemen’s northern regions has been going on for more than five years. The Saudi’s fear a spillover effect in their eastern provinces, site of their largest oil reserves and the country’s greatest concentration of Shi’ites, Saudi’s much oppressed religious minority. Perhaps Klare’s most interesting observation is, that in the future Saudi oil policy is likely to be less responsive to the dictates of U.S. global oil policy. The Saudi royal family has plans to utilize more, and even much more Saudi oil for its own domestic needs, to offer economic concessions to its people as a means of maintaining political control. This suggests that their contribution to contribution to meeting global demand could very possibly decrease, rather than increase, to say nothing of doubling. Put another way, the overall crisis that is affecting the entire Middle East will sooner or later hit the Saudis one way or another too. And what has not been said openly is that it will create major crises for the United States and the global economy in the period ahead. 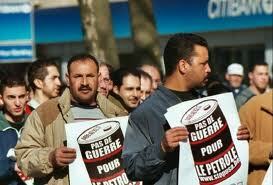 plagued with problems similar to those which triggered the second Arab Awakening throughout the region. Then there is the ultra-conservative nature of the regime itself, unresponsive since its inception to any serious social or cultural reform. The corruption of the Saudi royal family makes the abuses of a Ben Ali or Mubarak look like child’s play. It is a country without a constitution in which dissent is not tolerated. While the Saudi government has provided decent education and health care programs to its Saudi subjects (hard to call them citizens without a constitution), it faces a crisis of youth unemployment not dissimilar to that which brought down the Egyptian and Tunisian leaders. These factors suggest that the global energy crisis will deepen. The U.S. military buildup in the region will be helpless to counter these trends. Despite 30 years of vapid claims of working towards `energy independence’ (we first heard these calls from Jimmy Carter’s presidency in 1978-9), the country has hardly invested in alternative energy sources. While recycling and other private conservation methods have become popular, industrial waste, deregulation of energy production continue unabated. Count on the price of oil going up… and that is just the beginning. True, it’s not Armageddon just a slow but inevitable erosion of one of the foundation pillars that has propped up the global economy for the past 100 years. Immensely informative. Structurally a didactic gem.